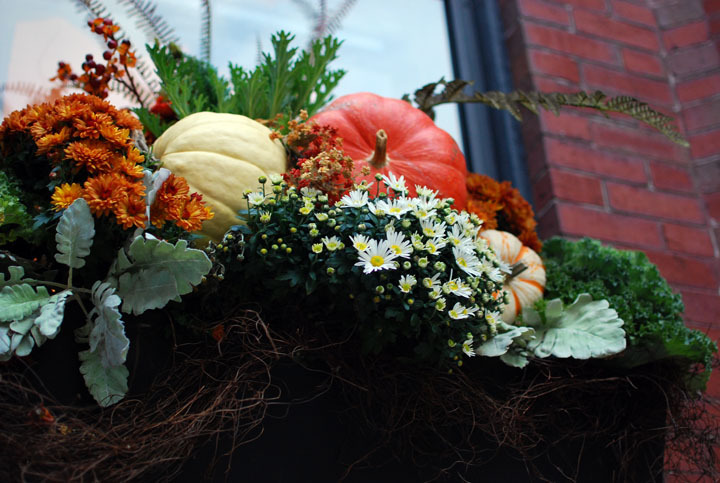 As we were walking along Newbury street the other evening, we came across a gorgeous window sill, covered in pretty fall decor. It inspired me to set up our dining table with this pumpkin arrangement in a glass bowl from Ikea. How have you decorated your home for Fall?